Heraeus technologies include: precious metals trading and investment, energy, environmental services, sensors, electronics and communications, medical products, quartz glass manufacturing and specialty lighting. Founded in 1851, Heraeus is the world’s largest family owned precious metals refiner. Wilhelm Carl Heraeus (1827-1904) (pictured right) was the founder of Heraeus. 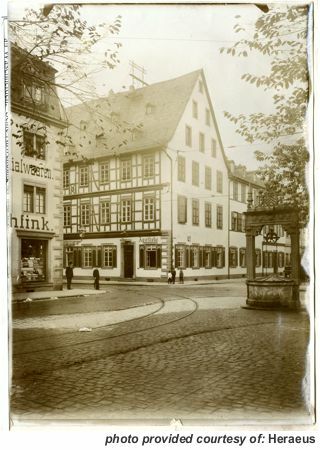 Wilhelm came from a family of pharmacists, his family owned and operated, the Einhorn Apothecary (Unicorn pharmacy) in Hanau, Germany. The family's pharmacy opened in 1660. As a young man, Wilhelm went to the University of Göttingen, where he studied chemistry and pharmaceuticals. In 1851, at the age of 24, Wilhelm Heraeus took over his father's pharmacy. Shortly after taking over the pharmacy, Wilhelm Heraeus discovered a way to melt platinum in large quantities. In the 1800's, Hanau, Germany was a town of goldsmiths. Goldsmiths in the area were perplexed because their customers were demanding platinum jewelry, but no one was able to melt platinum in large enough quantities to support demand. Several of these goldsmiths complained to Wilhelm Heraeus about their problems with melting platinum. 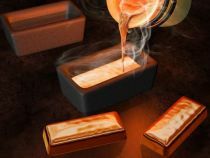 At the time, goldsmiths were unable to produce a flame hot enough to melt platinum, platinum has a melting temperature of 1,769°C (degrees Celsius), this is well above gold's melting temperature of 1,064°C. In 1856, through a series of experiments, Wilhelm Heraeus figured out how to melt large volumes platinum, without impurities, using a oxhydrogen gas flame (blowpipe). In his first successful experiment, he melted two kilograms of platinum. 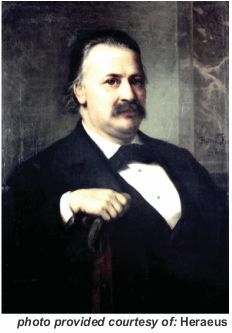 Wilhelm invented his own oxyhydrogen blowpipe which brought industries from goldsmiths to chemical laboratories calling on him to use his methods for melting platinum. This gave birth to the "first German platinum melting house" and made the Heraeus business grow far beyond its pharmacy roots. At the turn of the century, the sons of Wilhelm Carl Heraeus, Wilhelm and Heinrich Heraeus took over as managers of the company and in 1904, after their father's death, they inherited the company. The two brothers continued to follow in their father's footsteps by emphasizing on the company's research and development, ultimately expanding Heraeus's refining market exposure. In 1909, they hired Dr. Richard Küch, a physicist and chemist. During his career, Dr. Küch invented a way of creating high-purity, bubble free quartz glass by melting rock crystal with an oxyhydrogen gas-burner. 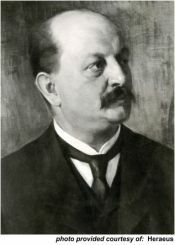 Dr. Küch's inventions and the Heraeus brothers focus on research and development (R&D), laid the foundation for the technologies the company specializes in today. During the first half of the 20th century, the Heraeus company went through many hardships, from WWI and hyperinflation, to bombing raids on its facilities during WWII, but through hard work the family kept the company alive. After World War 2 was over, the company was into its second and third generations of the Heraeus family running the company. During this time, they continued to focus on research and development of new technologies. In addition, they also expanded the company world wide opening offices in the United States and Japan. 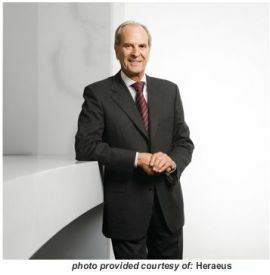 In 1983, Dr. Jürgen Heraeus, a fourth generation - Heraeus, was appointed to lead the Heraeus company. Under his leadership, he re-organized the company into several decentralized, operating companies. 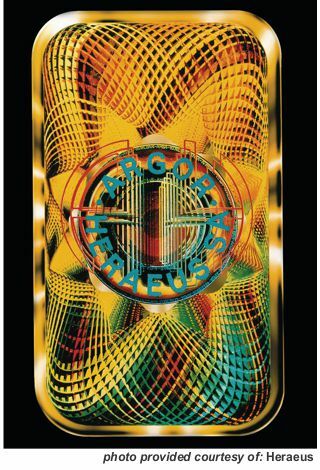 In 1986, Heraeus formed a 50% joint venture with UBS, UBS had previously bought 100% of a independent refiner known as "Agore SA," a precious metals refiner based in Switzerland. 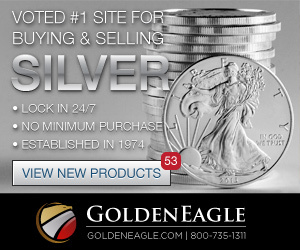 Interesting Fact: In 1952, independent refiner - Argor SA produced the first minted bullion bars. The venture gave birth to the company Agore-Heraeus SA, and later in 1999, the Agore-Heraeus SA purchased the other 50% of the company from UBS, making Agore-Heraeus SA. In March of 2017, Heraeus aquired 100% of Agore-Heraeus shares making the company a full Heraeus subsidiary. See info here. Currently, Heraeus Holding GmbH holds more than 5,000 patents. In 2013, Heraeus generated product revenues of €3.6 bn and precious metal trading revenues of €13.5 bn. The company currently has more than 12,000 employees, located in over 100 subsidiaries worldwide. The Heraeus Group aims to remain 100% family owned for the long term. 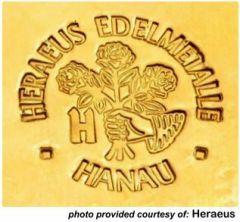 The "Hand of Roses" identification Mark comes from the Heraeus family crest. The family's forefather, Isaac Heraeus (1636-1676) created it after he settled in Hanau, Germany. The 'Hand of Roses' is only a small portion of the Heraeus family crest. The Mark 'AH' is the Identification mark for Argor - Heraeus Refineries. The Identification Mark has been used since 1986 and is imprinted on all bars produced at the Argor - Heraeus refining facilities. All Heraeus Bullion is made in the following precious metal purities. 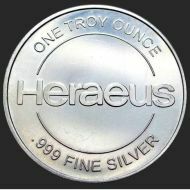 Heraeus produces gold and silver, one ounce rounds. The gold rounds they produce are made for the Kinebar (see below). The silver rounds display the Heraeus "Hand of Roses" family crest on one side and the Heraeus name and the round's weight and fineness on the other side. Poured or Cast Bullion Bars - are produced by pouring a molten precious metal directly into a mold. Markings are usually stamped on the bar using a hammer or a press. Minted or Stamped Bullion Bars - are cut from a cast bar that has been rolled to a uniform thickness. Markings are stamped onto the bar using a minting press. The Kinebar, is a Heraeus gold bar stamped with a security foil-element which consists of a proprietary, non-holographic, vector-based technology. The stamp was developed jointly by Argor-Heraeus and OVD Kinegram Corp., using Kinegram technology. The Kinegram can be found on Passports, ID Cards, Driver's Licenses, Credit Cards and on paper Currency, the security mark is used in more than 100 different countries. The design uses the effect of diffraction optics, so that when you look at the bar from different angles it shines in many different colors. 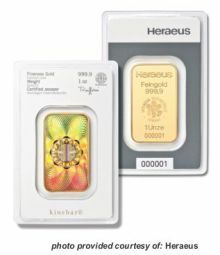 The gold Kinebar is offered by Heraeus in a vacuum sealed protective assay card. The Heraeus Kinebar is offered in the following sizes, all bullion is Minted. 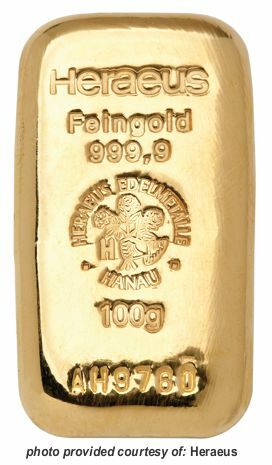 In General, serial numbers on bars, are put on bars and or assay cards as a service for the individual investor; to help them to keep track of the bullion they own. Before 2011, it was not common practice for Heraeus to place serial numbers on bullion. Q: Can I use the serial number to verify the precious metal bars are genuine? A: No. The genuineness of the bars cannot be verified by means of the serial number. However, the serial number links the bar to its certificate. All Heraeus gold bars have been delivered with a certificate since 2011. Q: Do all Heraeus precious metal bars bear a serial number? A: All gold, platinum and palladium bars produced since 2011 have serial numbers. However, there is some deviation from this for older bars; some of these do not have a serial number. 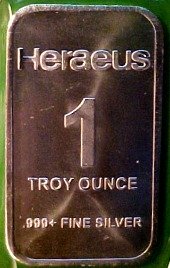 Heraeus Silver Bars, as a rule, have no serial numbers. You can see the full "Question and Answer" section of the Heraeus website here. See Gold bar list here. See Silver bar list here. See Platinum bar list here. See Palladium bar list here.